Any time you’re overcome with stress or anxiety, just follow these steps to stay calm, empower yourself, and regain control. If you follow my work, you’ve read some startling research summaries that explore the havoc stress can wreak on one’s physical and mental health (such as the Yale study, which found that prolonged stress causes degeneration in the area of the brain responsible for self-control). The tricky thing about stress (and the anxiety that comes with it) is that it’s an absolutely necessary emotion. Our brains are wired such that it’s difficult to take action until we feel at least some level of this emotional state. In fact, performance peaks under the heightened activation that comes with moderate levels of stress. As long as the stress isn’t prolonged, it’s harmless. Research from the University of California, Berkeley, reveals an upside to experiencing moderate levels of stress. But it also reinforces how important it is to keep stress under control. The study, led by post-doctoral fellow Elizabeth Kirby, found that the onset of stress entices the brain into growing new cells responsible for improved memory. However, this effect is only seen when stress is intermittent. As soon as the stress continues beyond a few moments into a prolonged state, it suppresses the brain’s ability to develop new cells. “I think intermittent stressful events are probably what keeps the brain more alert, and you perform better when you are alert,” Kirby says. For animals, intermittent stress is the bulk of what they experience, in the form of physical threats in their immediate environment. Long ago, this was also the case for humans. As the human brain evolved and increased in complexity, we’ve developed the ability to worry and perseverate on events, which creates frequent experiences of prolonged stress. Besides increasing your risk of heart disease, depression, and obesity, stress decreases your cognitive performance. Fortunately, though, unless a lion is chasing you, the bulk of your stress is subjective and under your control. Top performers have well-honed coping strategies that they employ under stressful circumstances. This lowers their stress levels regardless of what’s happening in their environment, ensuring that the stress they experience is intermittent and not prolonged. While I’ve run across numerous effective strategies that smart people employ when faced with stress, what follows are ten of the best. Some of these strategies may seem obvious, but the real challenge lies in recognizing when you need to use them and having the wherewithal to actually do so in spite of your stress. Taking time to contemplate what you’re grateful for isn’t merely the “right” thing to do. It also improves your mood, because it reduces the stress hormone cortisol by 23%. 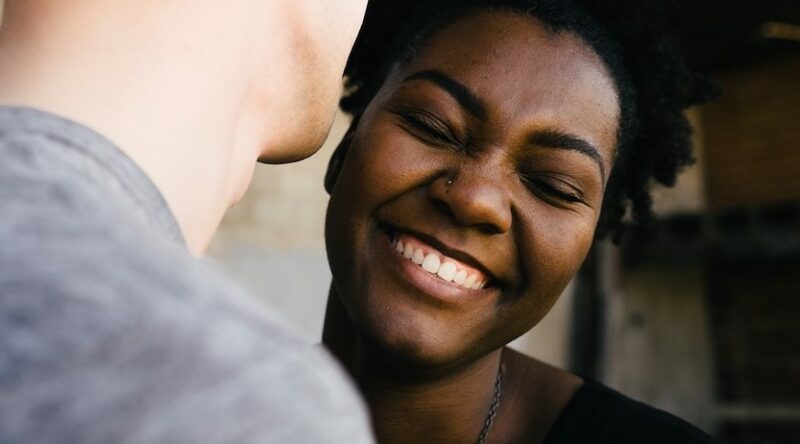 Research conducted at the University of California, Davis found that people who worked daily to cultivate an attitude of gratitude experienced improved mood, energy, and physical well-being. It’s likely that lower levels of cortisol played a major role in this. “What if?” statements throw fuel on the fire of stress and worry. Things can go in a million different directions, and the more time you spend worrying about the possibilities, the less time you’ll spend focusing on taking action that will calm you down and keep your stress under control. Calm people know that asking “what if? will only take them to a place they don’t want—or need—to go. Positive thoughts help make stress intermittent by focusing your brain’s attention onto something that is completely stress-free. You have to give your wandering brain a little help by consciously selecting something positive to think about. Any positive thought will do to refocus your attention. When things are going well, and your mood is good, this is relatively easy. When things are going poorly, and your mind is flooded with negative thoughts, this can be a challenge. In these moments, think about your day and identify one positive thing that happened, no matter how small. 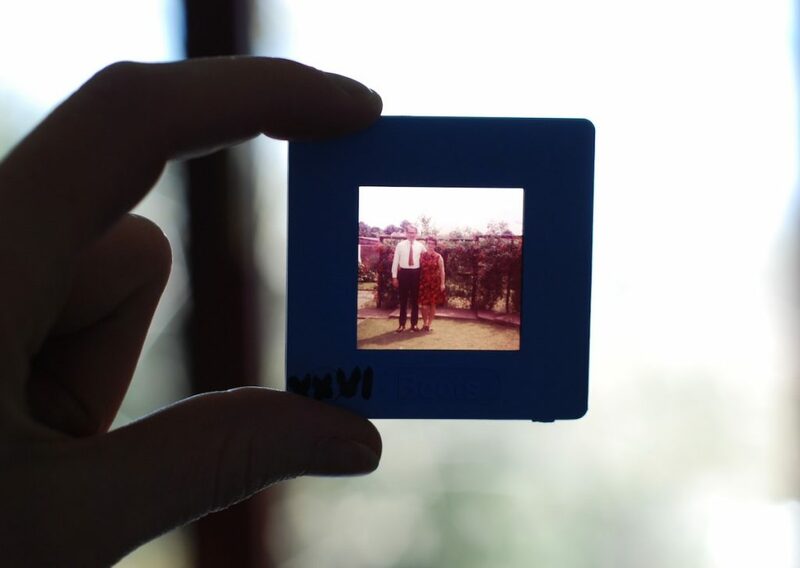 If you can’t think of something from the current day, reflect on the previous day or even the previous week. Or perhaps you’re looking forward to an exciting event that you can focus your attention on. The point here is that you must have something positive that you’re ready to shift your attention to when your thoughts turn negative. Given the importance of keeping stress intermittent, it’s easy to see how taking regular time off the grid can help keep your stress under control. When you make yourself available to your work 24/7, you expose yourself to a constant barrage of stressors. Forcing yourself offline and even—gulp!—turning off your phone gives your body a break from a constant source of stress. Studies have shown that something as simple as an email break can lower stress levels. Technology enables constant communication and the expectation that you should be available 24/7. It is extremely difficult to enjoy a stress-free moment outside of work when an email that will change your train of thought and get you thinking (read: stressing) about work can drop onto your phone at any moment. If detaching yourself from work-related communication on weekday evenings is too big a challenge, then how about the weekend? Choose blocks of time where you cut the cord and go offline. You’ll be amazed at how refreshing these breaks are and how they reduce stress by putting a mental recharge into your weekly schedule. If you’re worried about the negative repercussions of taking this step, first try doing it at times when you’re unlikely to be contacted—maybe Sunday morning. As you grow more comfortable with it, and as your coworkers begin to accept the time you spend offline, gradually expand the amount of time you spend away from technology. Drinking caffeine triggers the release of adrenaline. Adrenaline is the source of the “fight-or-flight” response, a survival mechanism that forces you to stand up and fight or run for the hills when faced with a threat. The fight-or-flight mechanism sidesteps rational thinking in favor of a faster response. This is great when a bear is chasing you, but not so great when you’re responding to a curt email. When caffeine puts your brain and body into this hyper-aroused state of stress, your emotions overrun your behavior. 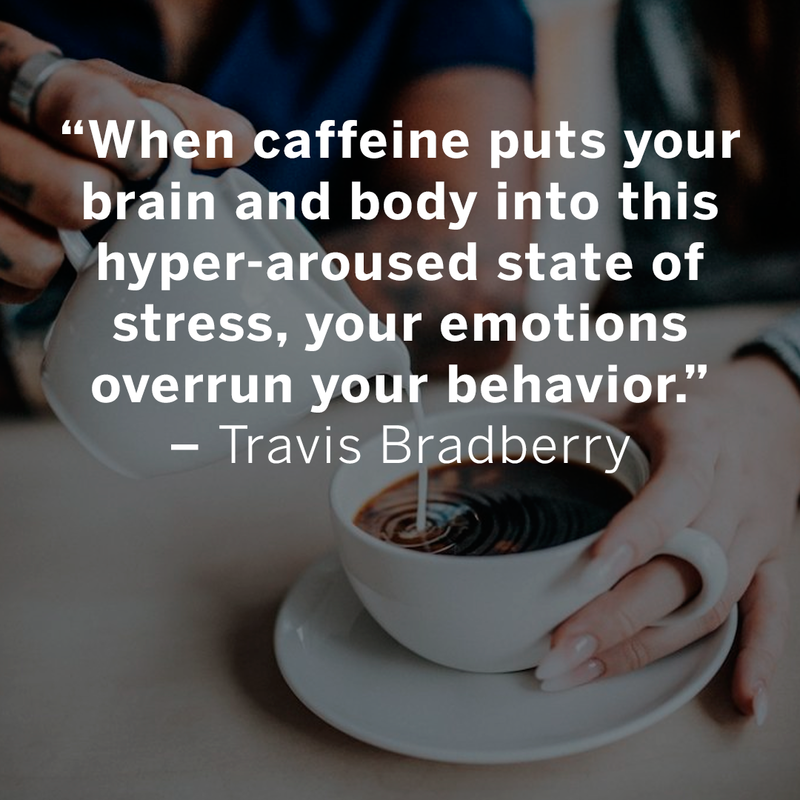 The stress that caffeine creates is far from intermittent, as its long half-life ensures that it takes its sweet time working its way out of your body. I’ve beaten this one to death over the years and can’t say enough about the importance of sleep to increasing your emotional intelligence and managing your stress levels. When you sleep, your brain literally recharges, so that you wake up alert and clear-headed. Your self-control, attention, and memory are all reduced when you don’t get enough—or the right kind—of sleep. Sleep deprivation raises stress hormone levels on its own, even without a stressor present. Stressful projects often make you feel as if you have no time to sleep, but taking the time to get a decent night’s sleep is often the one thing keeping you from getting things under control. A big step in managing stress involves stopping negative self-talk in its tracks. The more you ruminate on negative thoughts, the more power you give them. Most of our negative thoughts are just that—thoughts, not facts. When you find yourself believing the negative and pessimistic things your inner voice says, it’s time to stop and write them down. Literally stop what you’re doing and write down what you’re thinking. Once you’ve taken a moment to slow down the negative momentum of your thoughts, you will be more rational and clear-headed in evaluating their veracity. You can bet that your statements aren’t true any time you use words like “never,” “worst,” “ever,” etc. If your statements still look like facts once they’re on paper, take them to a friend or colleague you trust and see if he or she agrees with you. Then the truth will surely come out. When it feels like something always or never happens, this is just your brain’s natural threat tendency inflating the perceived frequency or severity of an event. Identifying and labeling your thoughts as thoughts by separating them from the facts will help you escape the cycle of negativity and move toward a positive new outlook. Stress and worry are fueled by our own skewed perception of events. It’s easy to think that unrealistic deadlines, unforgiving bosses, and out-of-control traffic are the reasons we’re so stressed all the time. You can’t control your circumstances, but you can control how you respond to them. So before you spend too much time dwelling on something, take a minute to put the situation in perspective. If you aren’t sure when you need to do this, try looking for clues that your anxiety may not be proportional to the stressor. If you’re thinking in broad, sweeping statements such as “Everything is going wrong” or “Nothing will work out,” then you need to reframe the situation. A great way to correct this unproductive thought pattern is to list the specific things that actually are going wrong or not working out. Most likely you will come up with just some things—not everything—and the scope of these stressors will look much more limited than it initially appeared. The easiest way to make stress intermittent lies in something that you have to do everyday anyway: breathing. The practice of being in the moment with your breathing will begin to train your brain to focus solely on the task at hand and get the stress monkey off your back. When you’re feeling stressed, take a couple of minutes to focus on your breathing. Close the door, put away all other distractions, and just sit in a chair and breathe. The goal is to spend the entire time focused only on your breathing, which will prevent your mind from wandering. Think about how it feels to breathe in and out. This sounds simple, but it’s hard to do for more than a minute or two. It’s all right if you get sidetracked by another thought; this is sure to happen at the beginning, and you just need to bring your focus back to your breathing. If staying focused on your breathing proves to be a real struggle, try counting each breath in and out until you get to 20, and then start again from 1. Don’t worry if you lose count; you can always just start over. This task may seem too easy or even a little silly, but you’ll be surprised by how calm you feel afterward and how much easier it is to let go of distracting thoughts that otherwise seem to have lodged permanently inside your brain. It’s tempting, yet entirely ineffective, to attempt tackling everything by yourself. To be calm and productive, you need to recognize your weaknesses and ask for help when you need it. This means tapping into your support system when a situation is challenging enough for you to feel overwhelmed. Everyone has someone at work and/or outside work who is on their team, rooting for them, and ready to help them get the best from a difficult situation. Identify these individuals in your life and make an effort to seek their insight and assistance when you need it. Something as simple as talking about your worries will provide an outlet for your anxiety and stress and supply you with a new perspective on the situation. Most of the time, other people can see a solution that you can’t because they are not as emotionally invested in the situation. Asking for help will mitigate your stress and strengthen your relationships with those you rely upon. Overwhelming anxiety and empowerment are mutually exclusive. Any time you are overcome with enough stress/anxiety to limit your performance, just follow the steps above to empower yourself and regain control. This post was originally published by Dr. Travis Bradberry on LinkedIn.